Date posted: June 16, 2015 by: JasonDarkX2 Category: Gaming Tech no comment. Ubisoft put on an entertaining press conference on Monday June 15, 2015 showcasing a bunch of new games and game play footages at the conferences. But there are really five which really stands out from their line up for this and early next year in my opinions. Ubisoft kicks off E3 2015 with a bit comedy and humour with Matt Stone and Trey Parker come out on stage to announce they’re making another South Park game with Ubisoft San Francisco when they originally said they’ll never make another game when South Park Stick of truth launched later year March 4,2014. South Park: The Fractured But Whole will be available for the PC, Xbox One, and PS4. No official release date yet, but the acknowledgement that the sequel exists is good enough for now. For Honor a brand new IP from Ubisoft Montreal set in the medieval era, bringing life to knights and warriors in a gorgeous large scale battle, showcasing a live 4v4 multiplayer match. Simply watching it, it already has a beef feel in the combat. Certainly a game to be keeping an eye when it comes out, no official release date or announced platforms, but the demo was running on a PS4. The division since its debut announcement way back in E3 2013 returns this year with good news after much delay. One of them will be a Beta next year and an official release date of march 8, 2016 for the PC, Xbox One, and PS4. Showcasing a bit of game play. Hopefully this won’t get delayed any more. Assassin Creed Syndicate showcased another cinematic trailer. But this time more sleeker and British like and oh yeah top hats, can’t forget about those. 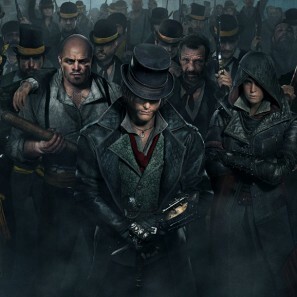 Assassin creed syndicate releases on October 23, 2015 for Xbox one, PS3, and PC.